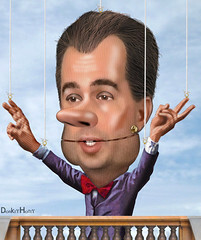 The Anagram Times: Did you hear what Canada's defense minister said about Scott Walker? Did you hear what Canada's defense minister said about Scott Walker? Did you hear what Canada's defense minister said about Scott Walker? =^He said, "Wait, look, I want that border fence!" And adds, "As, it may secure us!"